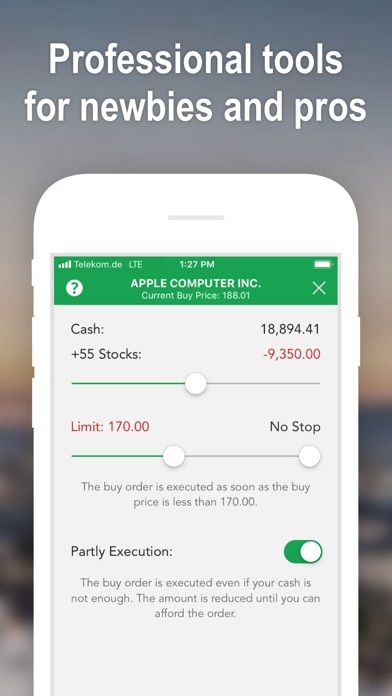 Best Brokers is a realtime stock market game focusing on fun. Enhance your knowledge of the stock market or test new trading strategies without any risk of losing real money. Powerful tools like order limits and stops are helping you to get virtually rich. Connect with other users and friends and exchange insider information. 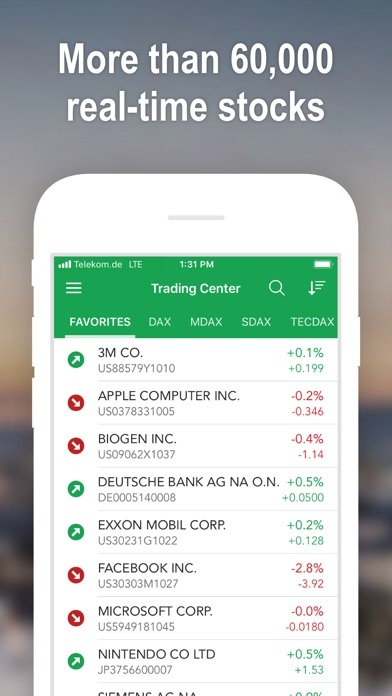 Best Brokers is the only stock exchange game with over 60,000 realtime stocks. 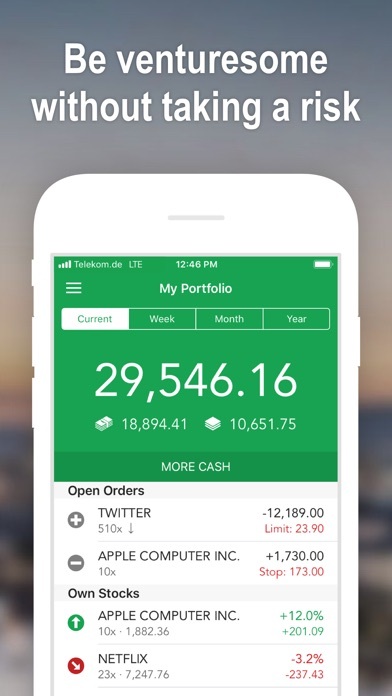 PORTFOLIO: You start with 25k. Here you can see your own stocks and open orders. Weekly, monthly and yearly charts as well as order history are right there. TRADING CENTER: Here you can inform yourself about shares or place your buy orders. All of the known indices are directly accessible. 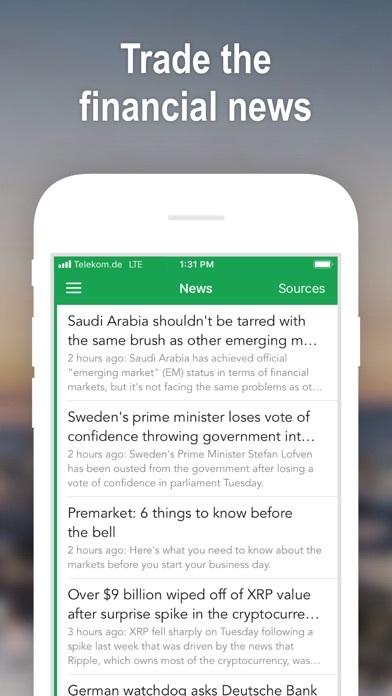 NEWS READER: Stay up-to-date with our integrated News Reader for RSS, RSS2 and Atom Feeds. FRIENDS & MESSAGES: Connect with your friends or other users and chat about the capital market or strategies. 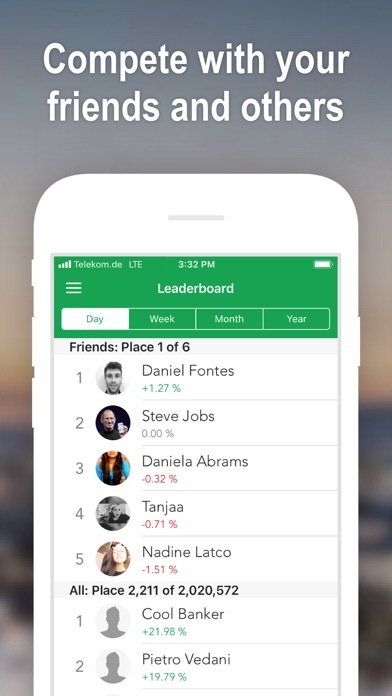 LEADERBOARD: Compete with your friends and other users. So I love this game—really fun, simple to learn so far, but there is one issue that I think is very weird. When I look at my portfolio, all of my stocks are going down, while In the trade center, they are going up! So I am actually gaining money but the numbers in my portfolio say otherwise. So maybe there’s something I’m missing but from what I see, the portfolio page is getting the numbers wrong. Not updating the market status? All things considered, I think this is a very decent app. I’ve also paid to remove the ads. However, all of the stocks i am seeing are frozen and it keeps telling me that the market has closed, even though it is not. I hope they will address this soon! For some seemingly indiscernible reason, the markets are able to close in this game. This makes the game unplayable at times and therefore really not fun. I may update the review when I can actually use this space on my hard drive. Since I started the game all of the stock graphs have completely leveled out and it has been a week. I wish they had option calls/puts so I can learn how the hell those work. Sank a good $10 into this guy. Every time I buy a stock the next day it goes down!!! Like I bought as many apple stocks as I could but the next day I was down 10 %!! Don’t waste your time with this rigged game. The prices you see in game do not reflect real world prices of the actual stocks. This fact alone makes this app useless for play trading/ practice trading. Needs improvement. 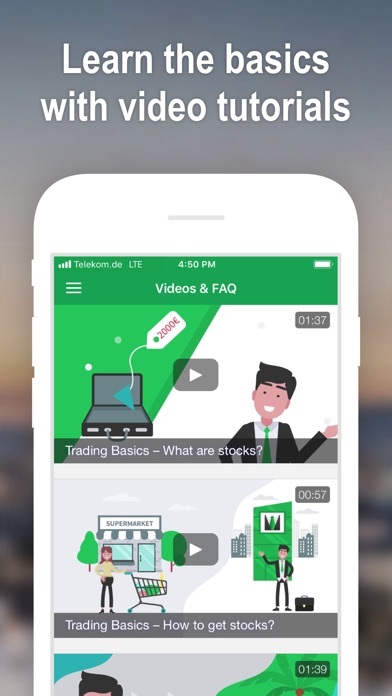 In this app, you are able to start an artificial trading account to get experience on trading without having to suffer the consequences of losing money. This game offers a great simulation, but as you begin to seriously invest, the app seems to lack many things. If you want to make stock trading your career, I recommend you look elsewhere. Though, if you want to get a little experience or enhancement, this app is great for that. Fun and easy! This game is super well made and has a lot of cool features that most other stock games don’t have. You guys should find a way to make a real estate edition! Totally fun, can’t believe it, make a bad investment but who cares fake money. Definitely the best trading game I can find. Nice and easy to understand and great for beginners. Would love the ability to add multiple profiles. Is there a US currency update coming anytime soon? I understand it is in Euros because y’all in Germany. But are y’all going to be adding a US dollar option on the map? Seem to accept my US dollars just fine for ad removal and resets lol. Love the app btw! I was under the impression that it would show current stock prices and that’s not the case.. I’m aware that it’s in Euros and not USD. How fast does it update? my stock ticker will say the price is up when the app says it’s down? Great for people interested in stocks. Gets your toes wet. Everything I wanted in the app except for the fact there is no way to remove the ads. Great game, although it would be better with dividend’s. It would also be great if you had a choice for USD and EUR. I was also surprised at the amount of small stocks you have, ex: Biocept, OHR Pharmesutical, but not a medium sized company such as Capcom. But overall, great app. 👌🏻 Great App For Learning Stocks, Not Perfect Though. The prices are wrong, NIVIDIA for example is showing its at $120 in game but real-time its $140. I literally pulled up the game description to double check this was a “real-time” simulator and while it says it is, it actually isn’t. I love the usability of this app. Very well made. Just wish there was an option to trade in US Dollars. The developer has mentioned that it has to do with the historical values that they use are in Euros. It would be nice to see current prices in USD, even if the past has to be displayed in Euros. This AP is way off. I don’t know what market this is simulating but it sure as heck isn’t “real time”with the markets. I don’t get why their is such good rating on this app. The one thing it’s got going for it is it’s nice look but the stock prices are delayed and don’t even make sense. Everything about the game is great except for the fact that it is not real time at all, I don’t know where you are getting these statistics from but it is not from the real stock market. Everything’s great about it except that it’s not accurate. Best brokers will tell you a certain corporation is down when it’s actually up. The percentage is off too. While I’m not a professional stock trader yet I’m still able to enjoy the joyful way of learning how stock trading works, and you can enjoy it two!!!! Allow for me to change the color of certain stocks. I have stocks that I am expecting buff profits from I would like the icon that I tap to show the stocks data to be a certain color. And then I have stocks that I am only gaining a couple of dollars from. I would like those to be different colors so I don’t mix them up and sell the wrong one! !!!!!! I'm only a kid but I'm super exited to learn about money! The date sometimes is frozen for hours, but it is a great app. 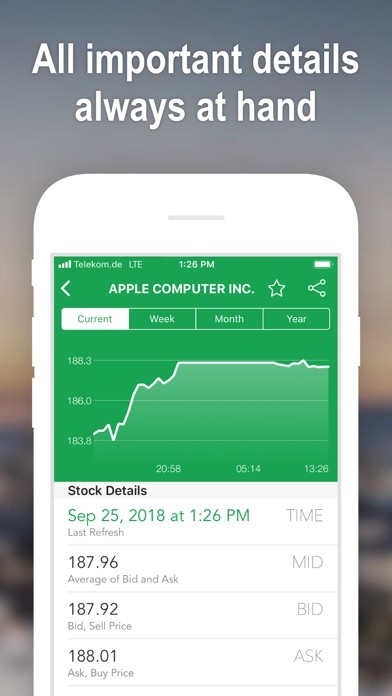 The stock prices don’t match actual stock prices and just got a message that the app isn’t going to work until after the holidays. I’m starting to think they actually have people manually entering the stock prices. Waste of time. The spread on sticks are unrealistic, some stocks have no movement for days. Funny if your trying to use this to gauge how well your doing.